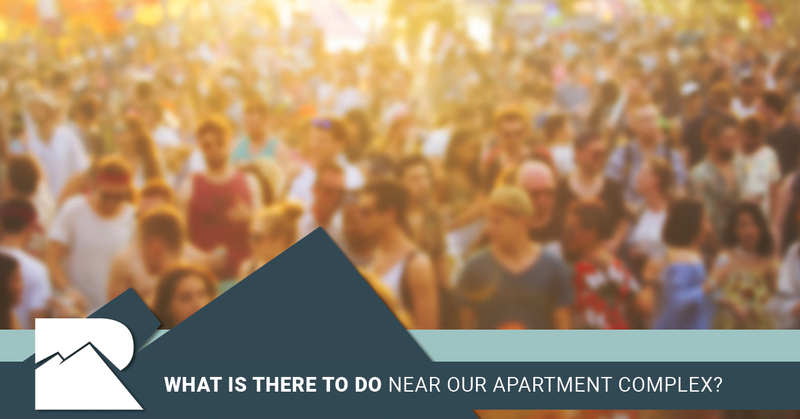 What Is There To Do Near Our Apartment Complex? When it comes to apartments for rent in Littleton, Summit Riverside Apartments are hard to beat! Whether you work in Littleton and want to be close to the place that employs you or you just love the type of community that this city provides you’re sure to love your time at our apartment complex. Between the exceptional floor plans and the best-in-the-city amenities we offer living here is a blast. Take our photo tour and see for yourself, but we think you’ll agree that our apartments are beautiful and the scenery is pretty darned great as well. As much as it’s great to make your home in a living space that works well for you the truth of the matter is that what’s close by can make a huge difference as well. After all, it’s the best of both worlds when you’re able to enjoy spending time inside of your apartment and time venturing out into the world outside. That’s why in today’s post we’ll be highlighting a handful of the things that you can do nearby. The best apartments are the ones that offer plenty of fun in the surrounding area and our apartment complex has that in spades. Keep reading to learn more. Colorado is known for being a great place for people who love spending time outdoors. Whether you’re a Colorado native or you’re a transplant from elsewhere who came to this great state in search of outdoor activities the great news is that there’s a lot to enjoy right in our neck of the woods. The recreational activities we mentioned above only scrape the surface as well because depending on the time of year you can take a quick car ride to enjoy everything from hiking to kayaking to skiing to fishing. Or, of course, you could head down to Coors Field to get a look at the Blake Street Bombers in action because as of the time of this writing they are leading the National League West with 79 wins and 65 losses. Go Rockies! Another thing that Colorado is (rightfully) known for is its food. There is no shortage of great restaurants to try in the area and many are local favorites. The Centennial State is also known for its many breweries and if grabbing a cold one at the end of a long day of work is up your alley then you’re sure to appreciate the fact that there are a boatload of great breweries and taprooms in the area, and they’re all offering up their own unique takes on the classics. It doesn’t get much better than that! Of course you’ll also want to do a bit of shopping from time to time, and the good news is that all of the best places are within close proximity to Summit Riverside Apartments. It seems like everyone has a few projects that they want to do to improve their living spaces and that’s why the nearby home improvement store and gardening centers are sure to come in really handy. Whether you’re building a picture frame or buying some indoor plants for your luxury apartment you can get your shopping done nearby. And there’s even a Walgreens close by so you can drop in and grab a pint of ice cream to celebrate finishing your project with. With so much to do in our neck of the woods and plenty of places to explore there’s a whole lot to love about living at Summit Riverside Apartments. We pride ourselves on offering an exceptional environment for our tenants and with a number of different floor plans available to choose from you’re sure to find the exact right thing for your specific situation. Don’t take our word for it though. Schedule a tour to come by and see for yourself just how great living here can be. We’d love to show you around and we look forward to hearing from you!